Few films are as aptly titled at this. I'm sure the title has provided you with a few images in your head already, and you wont be disappointed. 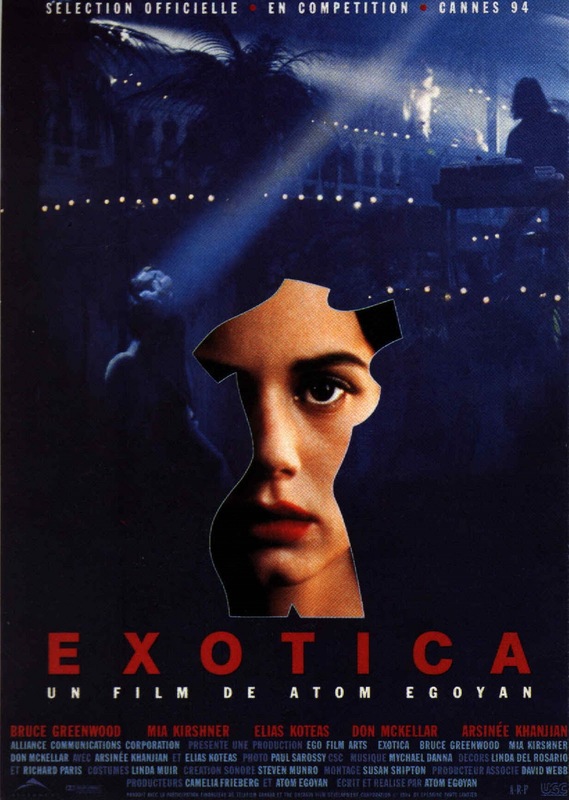 Exotica is very, very exotic. Set in a strange strip bar, where a select group of regulars come to appreciate the "very special atmosphere", the award winning cult film is another web of intertwining stories about the men who go there, and the women who work there. This is probably the best film of peculiar pimp director Atom Egoyan, and he conjures up a universe filled with wonderful weirdness, as per usual. The soundtrack by Mychael Danna also plays a big part in setting the scene, and is a record you'll appreciate listening to if you're having a quiet night by yourself. Today on my never ending quest to see every film you post on this blog (Yes even A Serbian Film, I'm working towards it.) I watched this film. 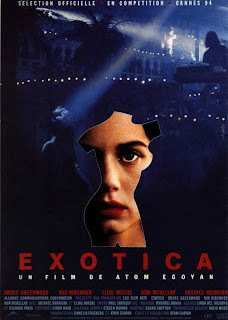 Exotica was serene and beautiful. I felt lost in it like a lucid dream. Thank you for widening my film horizons yet again. I'm so glad you enjoyed it. And thank you for the nice words.